Keeping it simple, iseekblinds has selected 4 stunning ranges of Blockout and Room Darkening fabrics to pair with your S-fold sheers or hang as a stand-alone drape. These ranges offer numerous options to deliver the look you see in high-end decorator magazines at a fraction of the price! 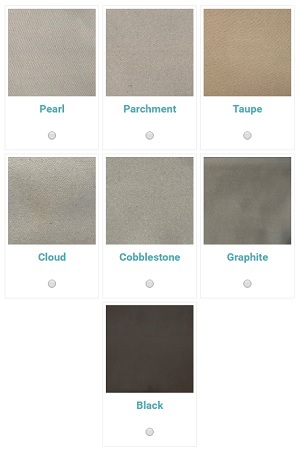 Choose from coloured plain lining fabrics or select our designer style Linen-look Tulsa. All our curtains are custom made to your exact specifications and come complete with either S-Fold or Gathered headings. The S-Fold heading will ensure your curtains hang beautifully for an outstanding result. Whilst the Gathered heading with its compactly sewn narrow pleats is the perfect accompaniment if pairing with an S-Fold Sheer to ensure your curtains stay as close to the wall as possible. Consider a Ceiling mount to add elegance and height to your rooms. 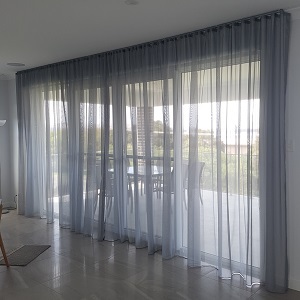 You can also pair a blockout curtain with a sunscreen Roller blind to soften the overall look of your interiors whilst ensuring the light control you are after. What's the difference between Blockout & Room Darkening fabrics? Michael takes you through the difference between a room darkening fabric (up to 95 % room darkening) vs a blockout fabric (100% blockout) and demonstrates the amount of light that can come through for each range. 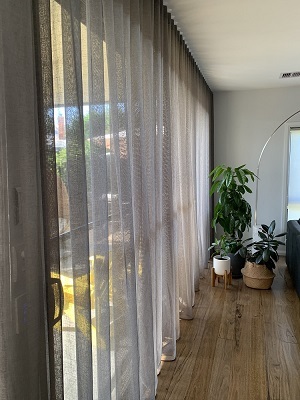 He describes the benefits of a triple weave fabric and points out the importance of understanding what your curtain will look like from both inside and outside your home. Michael takes you through each of the blockout and room darkening fabric ranges available on the iseekblinds website. Pin Holing - Please note blockout fabrics have a coated backing. This can show pin holes due to the sewing if the hem is positioned directly over the light. Pin holing is considered normal for these fabrics. At iseekblinds, we are constantly assessing our products & processes to ensure we keep it simple, fast, competitively priced and most importantly easy for our customers. 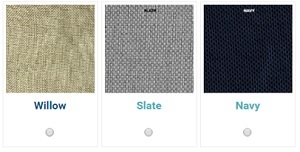 As our current Curtain fabric ranges are under review, we are no longer offering the Curtain Sample Collection Kits. Instead, we are offering FREE samples! 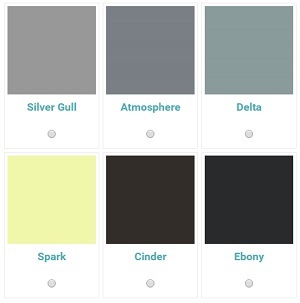 Whilst we get our website up to speed, if you would like to order some FREE fabric samples for our Bali Sheer range or Tulsa Room Darkening range, simply click on the button found at the top RHS of this page and request the range & colours you are interested in. Make sure you include your postal address! Alternatively, you can send an email to sales@iseekblinds.com.au. We will send out your samples the next business day. Weylands is a brand new release from Maurice Kain. An organic look, giving the effect of a linen fabric with all the ease of polyester. The 3-pass blockout coating not only delivers 100% blockout but also the highest rating of UPF50+ making it a safe choice for all domestic applications. Featuring 10 stunning contemporary colours from cool whites, through to greys and browns, the fabric delivers a gorgeous linen look ideal for stand-alone drapery. Easily incorporated into any interior theme, Weylands blockout fabric also offers acoustic and thermal properties. 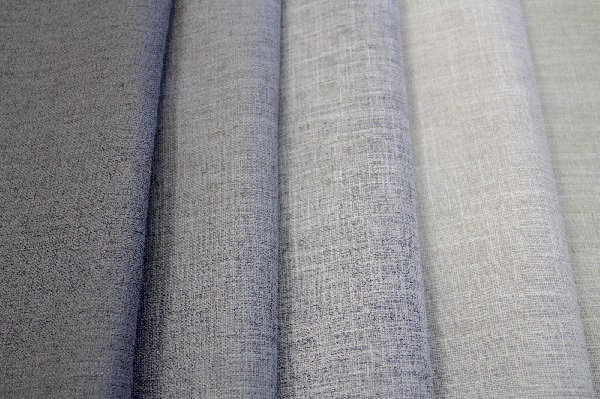 Tulsa is a versatile, soft, triple weave, linen look fabric ideal for stand-alone drapery. Perfect for room darkening as well as offering acoustic and thermal properties. With an extensive palette offering 15 top selling colours, Tulsa can easily be incorporated into any interior theme. A simple but stunning blockout fabric, Precision will completely block the light for a great nights sleep or media room. The perfect choice to pair with any S-Fold sheer or hang as a stand alone drape. An innovative, multi-purpose curtaining material, Sumo is available for longer drops up to 3150mm. Easy care cleaning! Great if you have children or pets, our polyester sheers are perfect for easy cleaning. Treat spills and stains as soon as possible. Gently scrape any soil or mop any liquid from the surface of the fabric. If commercial spot cleaners are used, they must first be tested and allowed to dry on an inconspicuous area, to ensure compatibility. Some fabrics may be hand washed. Do not rub or wring. Dissolve detergent prior to wash.
Machine wash load not more than 50% capacity. Use a gentle cycle 60c (max), gentle spin. Use at least three rinses and rinse temperature should be 10-12 degrees below the previous process.